Natalie is a KPOH volunteer alumni (celebrating 5 years now)! Here she is taking amazing care of "Storm" when he underwent emergency surgery due to intussusception. 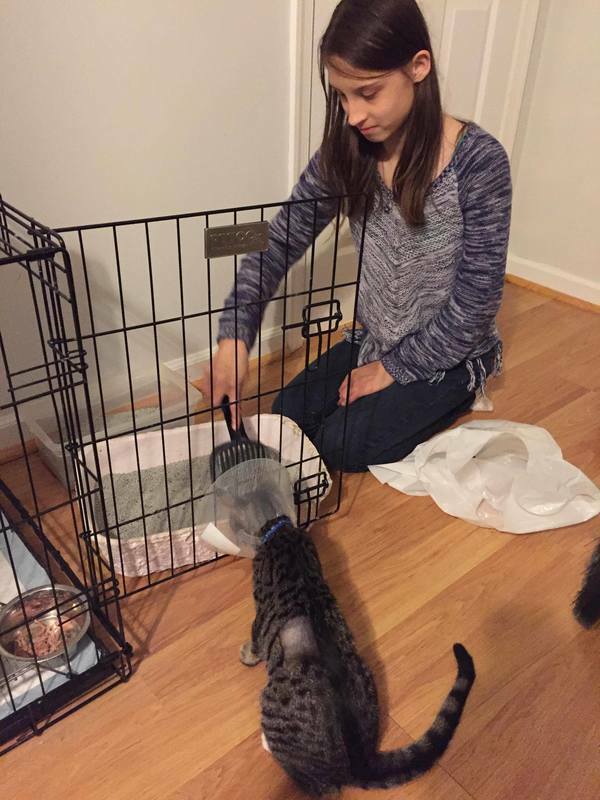 After Storm came home from the hospital, Natalie made sure he was still very well taken care of and helped him count down the 10 days until the cone could come off for good. Way to go Natalie! 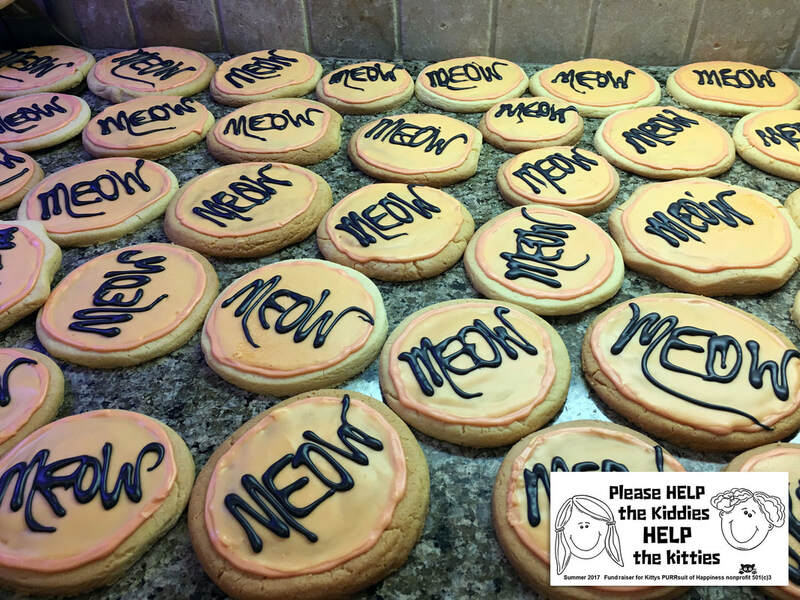 Cookies from one of our fundraising bake sales, and kitty litter cake, meowie delicious and so much fun to gross out adults! 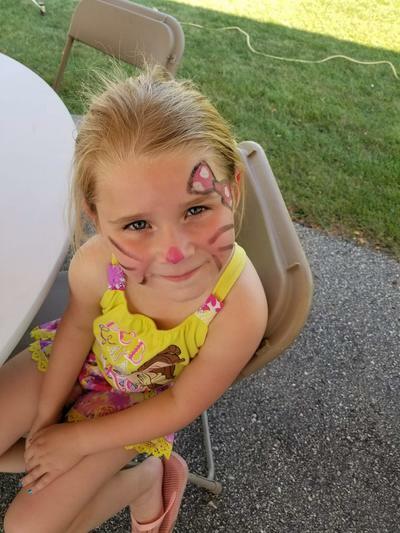 ​Our "Kiddies Helping Kitties" program teaches children compassion, responsibility and entrepreneurial skills in FUNdraising ideas in which they implement and creatively raise money. The Kiddies 2017 Christmas "Cats Rule Dogs Drool" Facebook online auction raised $1207.00 this year to help homeless kitties have spay/neuter surgeries, vaccinations, food and other much needed daily essentials! 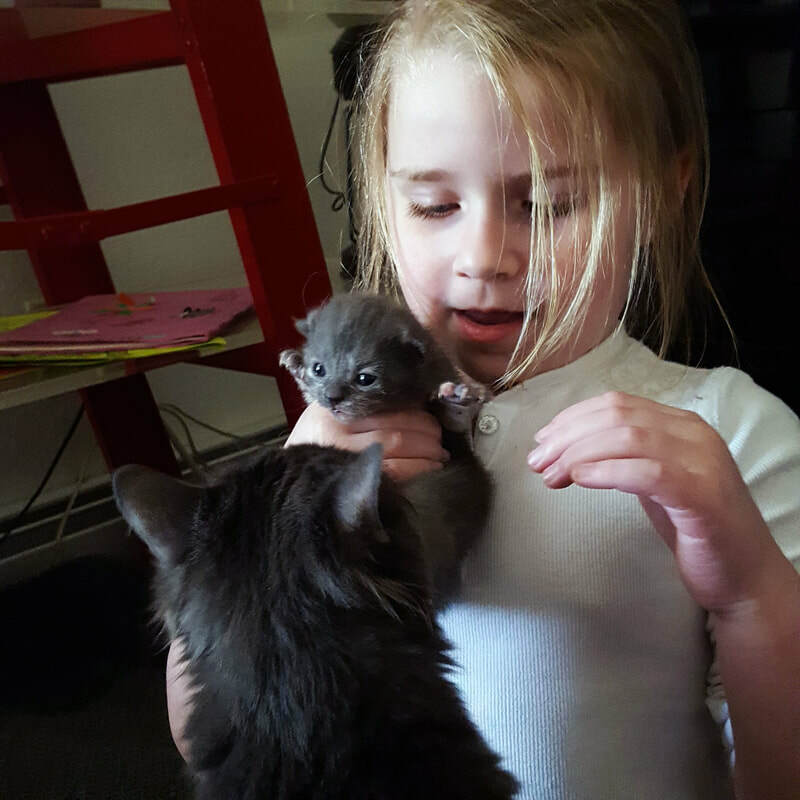 Kiddies Helping Kitties is our JAM! And we recycle the jam jars & use them for our projects and collect coin donations too! You are never too little or too young to stand up and fight to do the right thing! The Meow Matriarch and J.C. along with many other animal activists and lovers attended a protest weekend in Boerne, TX demanding compassion for kitties who were losing their homes due to new construction as reported on KSAT 12 news! 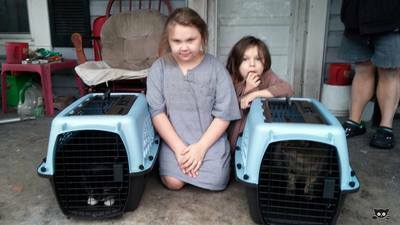 Little girls in San Juan del Sur, Nicaragua summer of 2017 helped bring kittens in crates to be helped by World Vets! I rescued Pepper and now I am helping to find him a forever home! 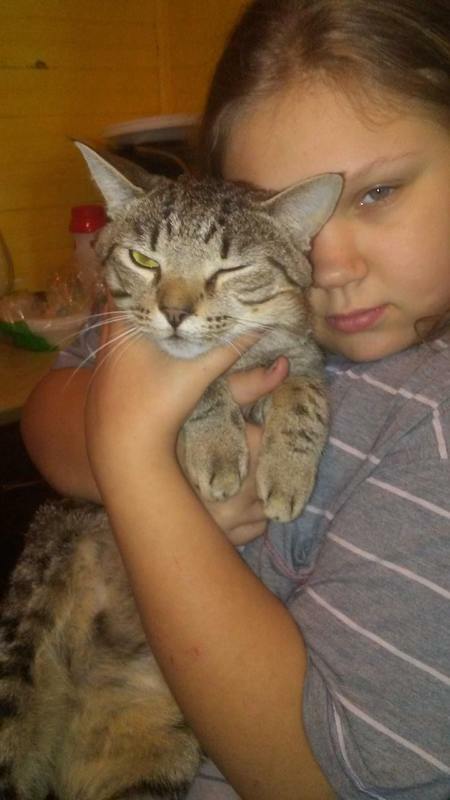 A little TCL and you'll be back to your nine lives in no time! Rescued kitties in NC on their way in transit to TN to their forever home!